Lise’s mother arranges accommodation for her with Madame Cristophe, a clairvoyant, who likes to dictate her daily agenda in accordance with what her mother would want for her. Part of this includes advancing her French by arranging lessons for her with a group of art students. Lise (or Lisette, as she’s called in Paris) falls for fellow student, the handsome Anders. Her friends know it, Madame Cristophe knows it, and the reader knows it … he’s a player. Then Hugo, a British antiques dealer, appears on the scene and Lise needs to learn where her heart lies … not in love, but in life itself. And before she can know who she really is, she needs to start learning about who her father really was. This is a heartwarming romance (written for readers aged 13–17) by CBCA award-winning writer, Catherine Bateson. She has written the book in recognition of two of her favourite childhood novels – For Love of Seven Dolls and Ripening Seed. Paris, the city of love, is portrayed in all its glory – for its artwork, patisseries, public gardens, pampered pooches and haute couture. (I loved the way Bateson used Parisienne locations as places where her character could think and grow, rather than as tourist attractions!) The novel is also a celebration of fashion, especially vintage style. 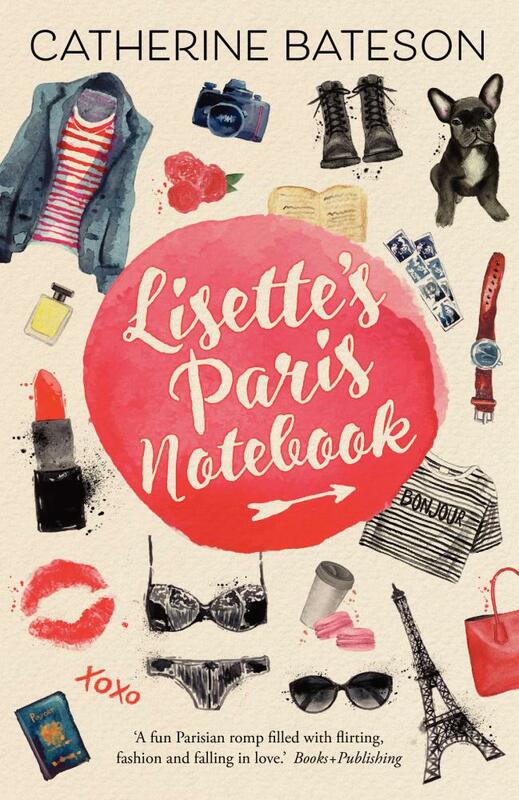 Lisette’s supreme knowledge of fashion history is evident in her quirky notebook excerpts that introduce each chapter, cleverly analogous with the events that follow.